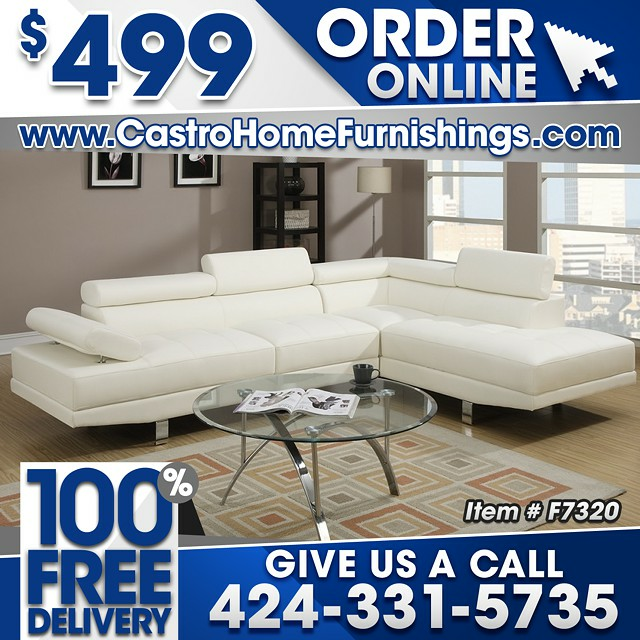 Product > Furniture > $499, Lux White Leather Modern Sofa Sectional - 100% FREE DELIVERY! $499, Lux White Leather Modern Sofa Sectional - 100% FREE DELIVERY! The futuristic design of this full-length sectional features a unit covered in faux leather with a linear fashion of wide seating spaces making it a piece of out this world. Available in black or white.